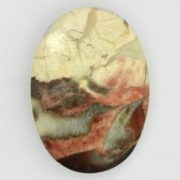 Jasper is a kind of chalcedony, colored in various colors by impurities of other minerals. 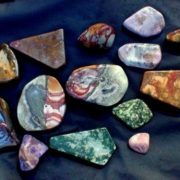 Jasper can be gray, red, black, yellow, green, blue, white, purple. 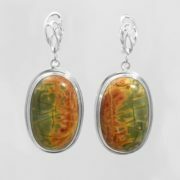 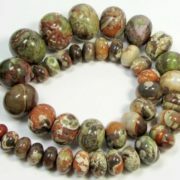 Although the deposits of jasper are found all over the world, the most diverse are the US deposits, where, in addition, they have the jasper of golden tones. 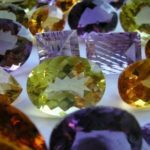 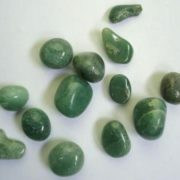 In the past, people not only cut jewelry and decoration items, but also used this gemstone in rituals to bring good luck and drive away trouble and illness. 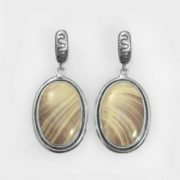 Yellow jasper always represented prosperity, well-being, health and wealth, and its vibrant golden color symbolized the Sun. 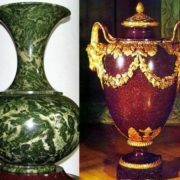 You can decorate the room with vases and boxes made of jasper to bring peace and harmony to your house. 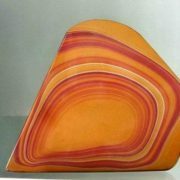 Jasper is also used for making countertops, finishing tiles, etc. 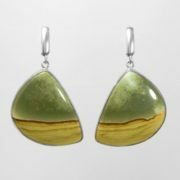 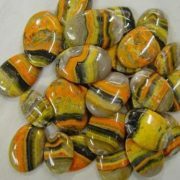 Yellow jasper creates around itself an energy field that cleans your house of negative energy. 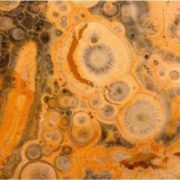 The presence of sulfur oxide in yellow jasper makes it very effective against stomach pain, colic and intestinal obstruction. 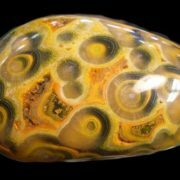 Modern lithotherapy advises to use crystals of yellow jasper as an energy source. 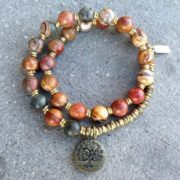 Yellow jasper has miraculous properties and strengthens the spirit. 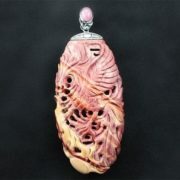 It can be used as a mascot for travel. 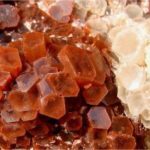 Red jasper has a great energy potential and is one of numerous varieties of chalcedony, which in its turn is a kind of translucent quartz. 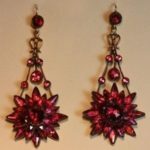 Its deep brownish-red color is due to the presence of hematite. 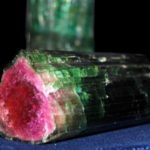 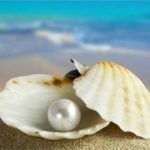 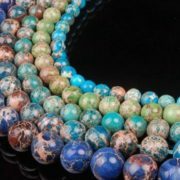 The main deposits are located in Brazil, Argentina, the United States, India and Central Europe. 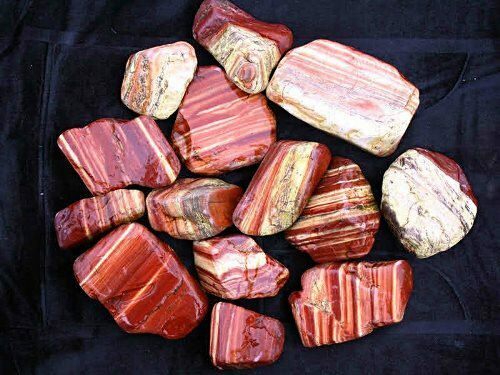 Many civilizations of the Ancient World considered red jasper to be a sacred stone. 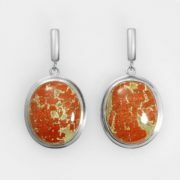 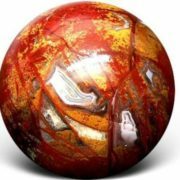 The ancient Greeks often wore a mascot from red jasper. 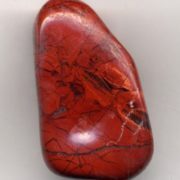 The red jasper played an important role in the Jewish culture: it was one of the twelve sacred stones of the confidant of the Jewish high priest Aaron. 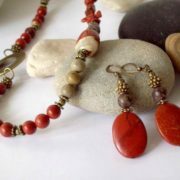 Red jasper helps to get out of depression, overcome melancholy and apathy, normalizes the work of the intestines and liver. 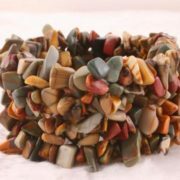 This stone is very useful for shy and insecure people. 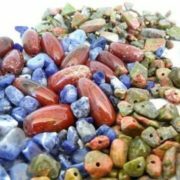 Initially, various tools were made from jasper, and in the Middle Ages – mainly seals and amulets. 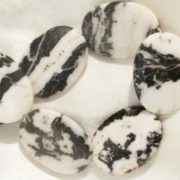 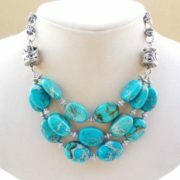 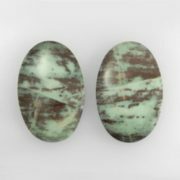 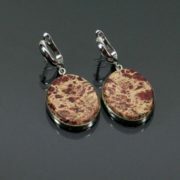 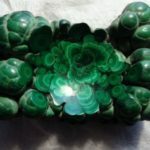 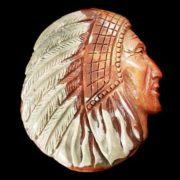 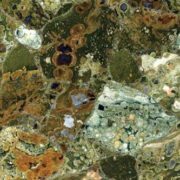 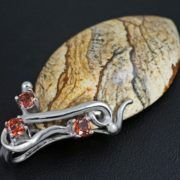 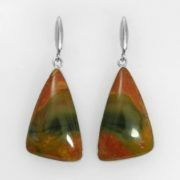 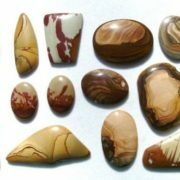 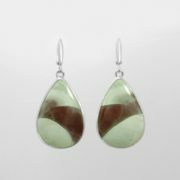 Today jasper is one of the most popular and inexpensive ornamental and jewelry-ornamental stones. 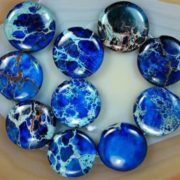 People make beads, insert it in rings, brooches, pendants, use in the production of souvenirs.